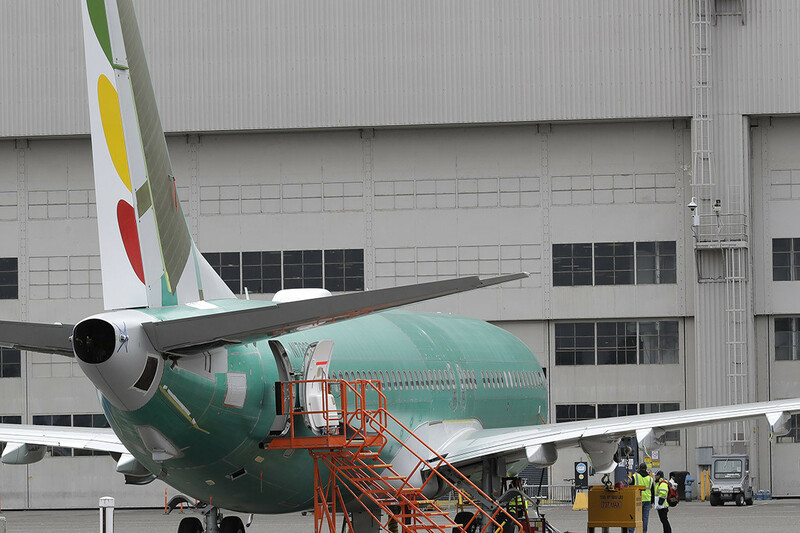 U.S. lawmakers of both parties called Tuesday for the FAA to join a growing list of governments in grounding Boeing’s beleaguered 737 MAX 8 jetliner — a step that would threaten major disruptions of some domestic air traffic and one of the nation’s top manufacturers. The pressure from members of Congress, a flight attendants union and dozens of countries and foreign-based airlines is leaving the FAA increasingly isolated, a day after the agency said it’s awaiting more information about the Ethiopian Airlines crash that killed 157 people Sunday, including eight Americans. Though the cause of the crash has not been determined, it bears similarities to an October air disaster in Indonesia in which 189 people died, raising questions about whether a Boeing stall-prevention system on the MAX 8 sent the plane into a fatal dive just after takeoff. Sens. Elizabeth Warren (D-Mass.) and Mitt Romney (R-Utah) said Tuesday that the FAA shouldn’t wait for those answers before taking the MAX 8 out of service — echoing similar statements Monday from Sens. Richard Blumenthal (D-Conn.) and Dianne Feinstein (D-Calif.). Meanwhile, the United Kingdom, Ireland, France and Germany became the latest countries Tuesday to jump into the fray, barring 737 MAX planes from their airspace. They joined a flood of other nations that have barred the Boeing jet, including China, Australia, Malaysia, Oman and Singapore, as well as airlines based in countries such as Mexico, Norway and South Korea. The European Union’s equivalent of the FAA, though, is taking a similar stance, saying it is awaiting more data before it makes a decision to ground the fleet. The cascade of groundings represents a break from decades of other countries largely following the FAA’s lead on the safety of U.S. aircraft. It comes just two years after the global aviation industry registered its safest year ever, with no passenger jet fatalities reported anywhere in the world in 2017 — a feat for which President Donald Trump claimed credit last year. But the crashes in Ethiopia and Indonesia bore unnerving likenesses, with both involving new aircraft with experienced pilots that plunged into the earth soon after takeoff. A preliminary investigation of October’s Lion Air crash in Indonesia raised questions about a new Boeing safety feature that could have forced the plane’s nose down despite the pilots’ efforts to right its course — as well as complaints from pilots’ groups that the manufacturer failed to ensure that airlines knew about the change in technology. The European Aviation Safety Agency is staking out a similar position. “We are waiting to have a solid, fact-based information,” an EU official told POLITICO Europe. Kathryn A. Wolfe, Brianna Gurciullo and Saim Saeed contributed to this report.